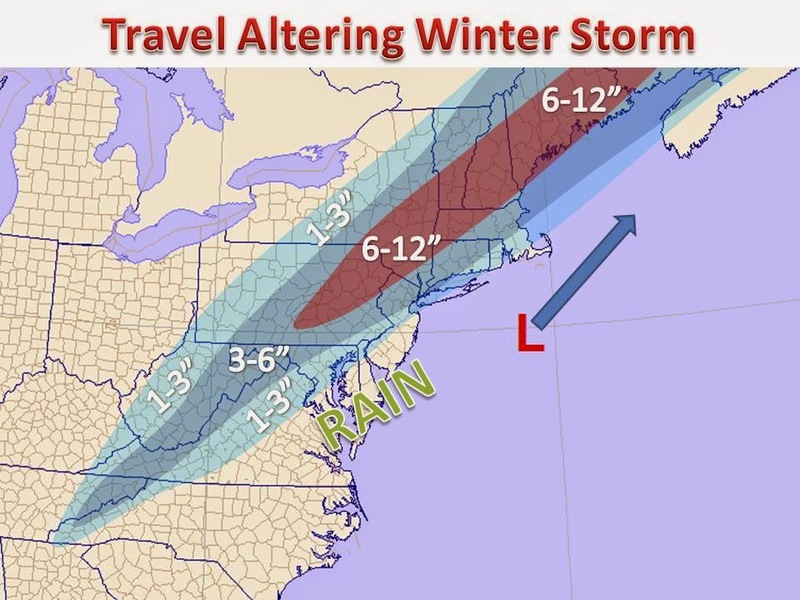 Midwest Winter Weather Blog: Thanksgiving Travel to the East Coast? Beware! An early season nor'easter is rapidly developing of the coast of Florida and is poised to disrupt the eastern seaboard on the busiest travel day of the year. This will certainly effect travel at the nation's largest airports and will have a substantial ripple effect through the air transportation grid. Be sure to check ahead if you are flying in the next couple days, as flights could be effected around the country. On the left is the official Midwest Weather snow forecast, a special product, as many will be traveling to the east coast for Thanksgiving. Let's dive into the dynamics of such a strong cyclone. It actually has orgins in the Gulf of Mexico, noted by the left side of the plot. A large and substantial area of curvature vorticity will set up in the base of a large trough at around 1:00am Wednesday. As this "spinning" of the air is advected into the core of our developing cyclone it increases the intensity. However it then becomes more elongated through much of New England (right side), which will stop the system further strengthening. 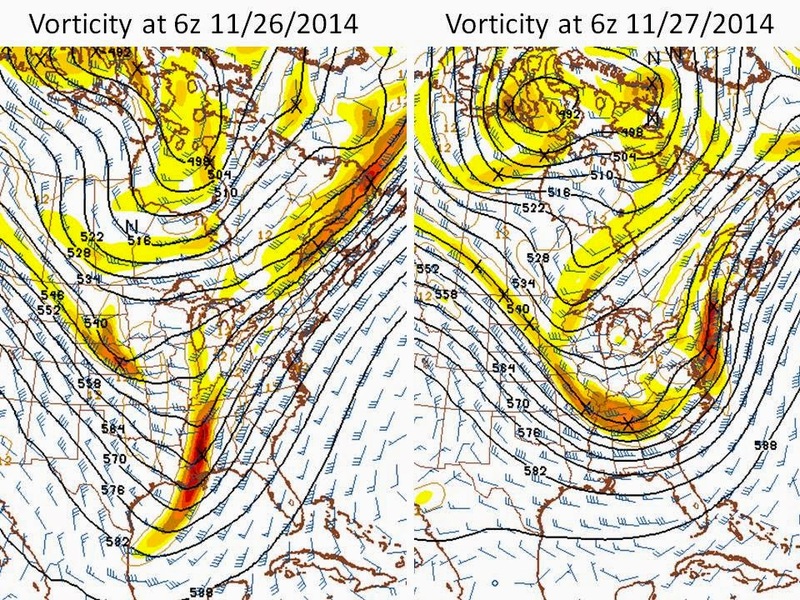 On the left is the upper level jet stream at 250mb. It shows a large trough over the eastern half of the country with intense upper level winds flying through New England and eastern Canada. At this time the cyclone is sitting downstream of this trough, which is a favorable location for upper level divergence, which in turn will evacuate mass out the top of the system and increase the cylcone's pressure. Computer models are showing a drop in mean sea level pressure of around 12mb in a 12 hour time period! On the right is the mid to lower tropospheric relative humidities. The largest take away from this map is to notice the long fetch of moisture that will eventually wrap into the cold sector of the system in New England. A feed of moisture stretches, without resistance, all the way into the Caribbean. It has plenty of moisture to work with and a constantly supply. With ample forcing and intense amounts of moisture to work with, along with very cold air it is now wonder why a foot of snow is on tap for the Thanksgiving eve. Thanks for reading, if you enjoyed what you heard please give the post a share of facebook like to show support. Thank You!